Lottery officials instruct players to always sign their winning tickets even if they don’t intend to cash them right away. 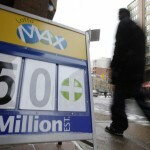 Many of those who play Lotto Max take their time before claiming the prize, trying to come up with a solid plan to manage their newfound wealth. Vincent (Tony) Charlemagne won the lottery in August, but he had to wait for a couple of months, due to the fact that he didn’t use his legal first name. 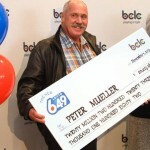 The North York resident frequently buys tickets for the Lotto Max draw but August 2nd proved to be his lucky day as he won a bit over $30 million. 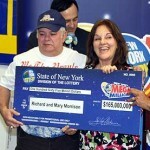 A responsible lottery player, he decided to follow the officials’ recommendations to the letter but signed his ticket with the name Tony instead of Vincent. 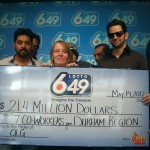 This seemingly minor incident triggered the beginning of a prize claim review, as the Ontario Lottery Gaming wanted to make sure that he was the rightful owner of the ticket. To some extent, Tony was frustrated by the delay and it is easy to understand his anguish given the fact that he couldn’t use the money for five months. On the other hand, he understands the importance of double checking the identity of lottery winners as it is always easier to prevent a mistake than to deal with its consequences. The good news is that he had plenty of time to ponder all the alternatives so it is very likely for Tony to come up with the right conclusion about how to spend his cash. 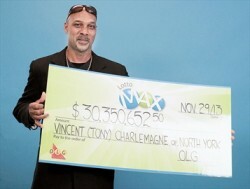 Charlemagne describes himself as a passionate lottery player and he plays mostly Lotto Max and Lotto 6/49, but until now he never won a large amount. That’s why he was so surprised when the self-checking machine indicated the fact that he won $30 million and asked an OLG official to confirm it. After overcoming the surprised caused by the great news, he decided to skip work for one day and instead went home to take a shower and cool off. Vincent works as a self-employed contractor, so very few noticed the fact that took the day off and it is only fair to assume that this is only the beginning of a lengthy vacation. With $30 million in his bank account as a result of winning the Lotto Max jackpot, he could easily spend the rest of his life living on interest. He hasn’t decided yet whether he will return to work or not and the only planned expenses so far are a new house and a brand-new car. He also intends to visit his relatives in St. Lucia, the place where he was born and raised. 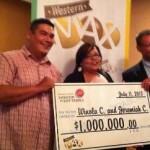 CHECK THIS OUT: Lotto Max winner finds time and money for kindness.